If you've been around Scanlon Ice Rink, you have probably been lucky enough to encounter DiQuan Jackson. The current Community College of Philadelphia student is known for his jokes and his ability to put a smile on every face he encounters. "I tell my bosses all the time - I don’t come to the rink for a pay check. I really come to put smiles on people’s faces, including the young ones, including my coworkers. I just love a happy atmosphere at the rink. That’s how it was when I was growing up." Jackson started Snider Hockey when he was 11 years old and currently serves as a coach for the 18U team at the organization. His positive outlook on life has allowed him to achieve many things including coming in third place of his 18U team, moving out of his parents house in his first apartment, and attending Community College of Philadelphia--where he says many doors have opened for him. "It made me want to learn and get my education." Jackson says the opportunity for brush-up classes, a program where students who have failed placement tests can take a class before they take the placement test again, has really helped him grow in college. "The brush-up class taught me so much about writing essays and stuff like that and once I took the test, I passed it. Proudest thing I ever did." Jackson plans to pursue a career in communications after graduating from college. Ava Olsen began skating for Snider Hockey in 2011 - six years later the sport still plays a huge part in Ava’s life. Ava plays hockey for the Steel City Sirens, a Mid-Atlantic Hockey League in Pittsburgh. “They’re a great women’s team and it’s a lot of different ages and types of people and it’s just really fantastic. I get to try to also be on another team and meet different kinds of people,” she said. 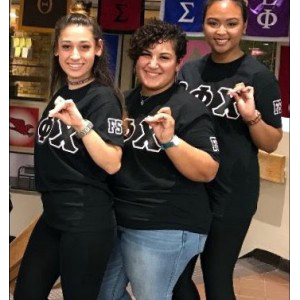 The Snider Hockey Coach continued that sense of family when she joined Omega Phi Chi, Multicultural Sorority, Inc. at Rutgers University as well as several other campus organizations. "It was one of the hardest things I've ever gone through. It definitely made me a better, stronger person. That's something I'm really proud of," she said. Kaseir Archie is ready to take Philadelphia by storm. 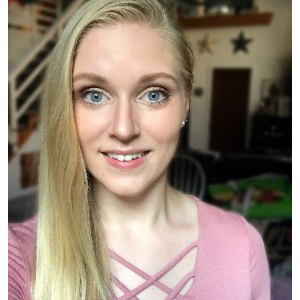 The Drexel University sophomore graduated from Snider Hockey in 2015 and is currently pursuing a degree in accounting. Archie, who plans to open up his own accounting firm, just finished his first co-op, where he worked as an accountant for Xerox. Drexel University's unique co-op program allows students to explore careers within their field while gaining experience at renowned companies. 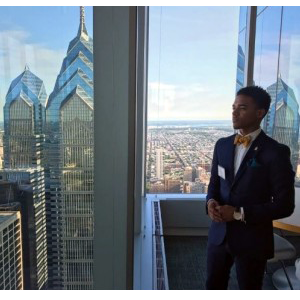 Archie has taken full advantage of the opportunities at Drexel University and serves as treasurer for Drexel's Black Student Union while delving into his passion for fashion and photography. Archie credits Snider Hockey for his confidence and leadership skills, which he has been able to use on campus. "[I have] confidence in myself and security just knowing that no matter what I’m going into like if I am in the position I deserve to be there. I have all the tools and I’m equipped to do whatever it is I’m involved with to the fullest extent." 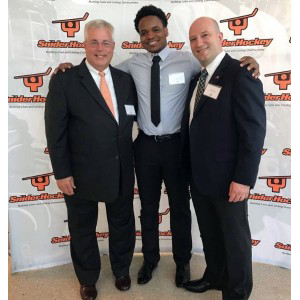 Snider Hockey helped provide Thomas Brown a family and now in return, he serves to help Philadelphia families become better. Brown began skating for Snider Hockey in 2006 at the University of Pennsylvania Ice Rink, Class of 1923. He says his favorite part of Snider Hockey is the connections he has made. "I have a great group of people that I can contact about anything, and they’ll give me the best advice. And I trust every one I’ve been associated with, that, you know, is part of the Snider Hockey family." 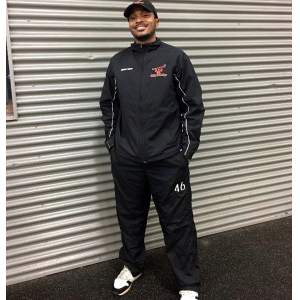 Since graduating from high school, Brown started working for Snider Hockey and recently got a job at Turning Points for Children, where he has been able to act as a mediator for families. Brown credits his experience at Snider for his success in the position now and says being a Snider Alum has motivated him to get more involved in youth success. "I think that it kind of all started just from coaching. At first, it was kind of just a thing where I could give back to the program. All the stuff they taught me, I can then reiterate it to younger youth, and then, you know, I feel like I got more of a passion of coaching or you know being around kids and mentoring them in certain ways. I feel like that’s detrimental. Just to give back, in a sense. Because they’ve given me so much. And I feel like I have to do the same." Brown plans to continue his success by working, saving money, and finishing school.